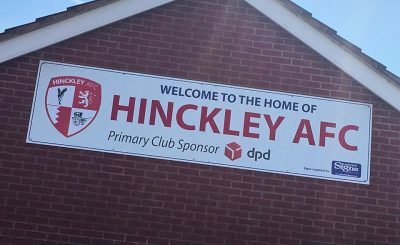 Hinckley AFC slipped to defeat as Cadbury Athletic scored a goal in each half to turn the game on its head at the Triplex Sports Ground. As in the reverse fixture, AFC led early as Ryan Mills put them ahead, but Deon Colstock hit back for the hosts. 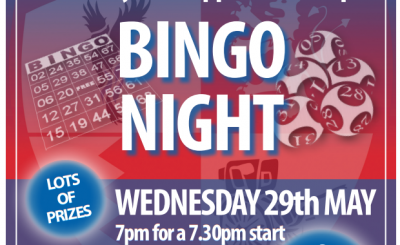 And Odane Barnes won it for the Chocolatemen late on to condemn Hinckley to another defeat. 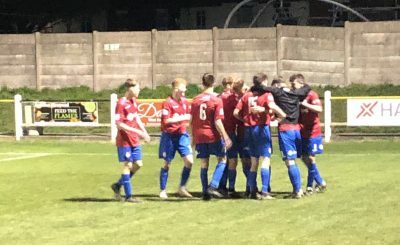 With injury and illness hitting the squad, AFC took a very youthful side to Cadbury with five members of the Under 18s team starting the game. Missing Grant Ryan (ill), Jean Dakouri (knee) and Yinka Adebowale, Ellis Chambers made his first start while Louis Hamilton and George Warren returned. After a quiet opening, Hinckley took the lead just after the quarter hour mark. It was a fine strike from Mills on just his second start, bending a beauty into the top corner from 20 yards from Hamilton’s short free kick. But the lead lasted just a matter of moments, as Cadbury hit back immediately. Just two minutes later, a quick counter attack ended with Colstock driving home a crisp effort from the edge of the box to level. 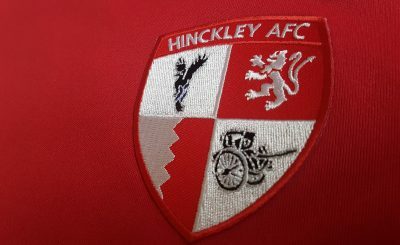 Hinckley had the better of the first period, and could have extended their lead with either of two chances just before the break. First, Alando Lewis’ good work down the left allowed him the chance to flash one across the face of goal, which the stretching Chad Timson just couldn’t reach. Then, Ryan Murphy headed over Hamilton’s free kick as AFC felt they could have gone into the break ahead. But the tides turned after half time, and Cadbury came out after the break the better side. 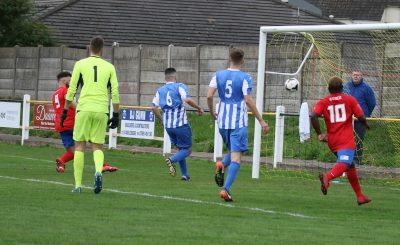 Warren had to be on hand three times early in the half, first to deny John Baker’s header from a free kick, then to tip over from Colstock and Sam Delaney. Added to that, Kennie Roberts curled a free kick wide as Cadbury were now the ones in the ascendancy. And they took the lead with 13 minutes to play when Barnes got in between the defence and goalkeeper to stab home and put his side ahead. 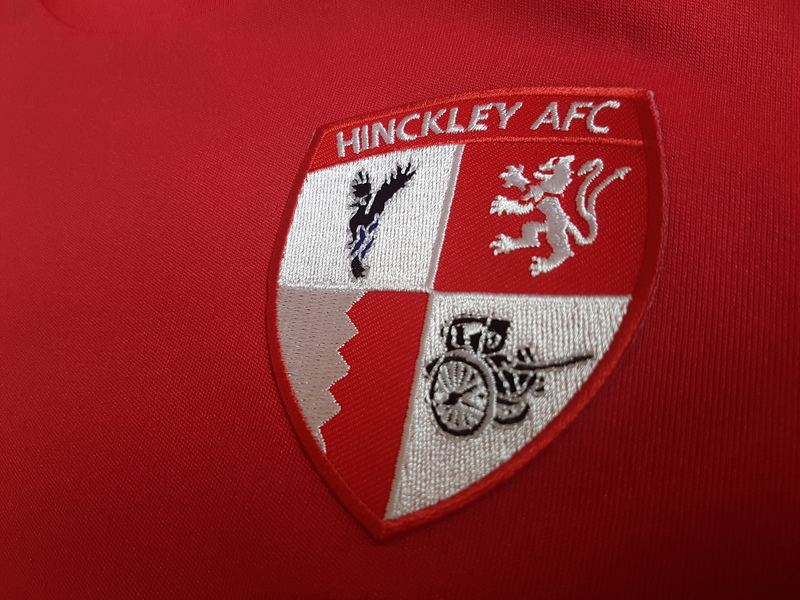 In truth, Hinckley didn’t threaten after that, and indeed it was the home side who came closest to another goal when Lewan Tobin struck the post after Roberts’ good run. It means AFC are now fourth from bottom of Division One and needing confidence ahead of the visit of Uttoxeter Town next week.